New heated airport runway concept may sharply bias ‘global warming’ signal in the global climate monitoring network | Watts Up With That? There have been thousands of flight delays and cancellations due to winter weather this year, and it’s only January. Not only that: snow and ice at airports can send planes skidding off slippery runways. 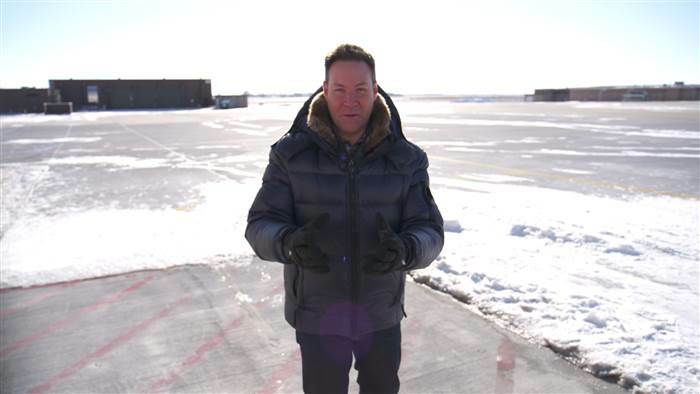 Jeff Rossen at (chilly) Des Moines International Airport. Note the melted patch he is standing on. 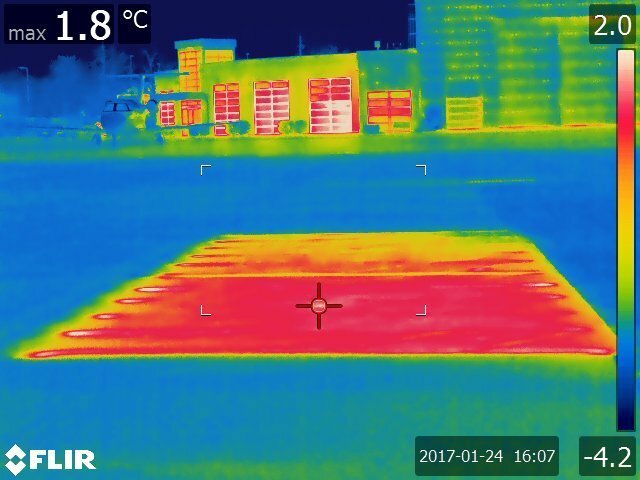 A thermal image of the heated airport pavements. 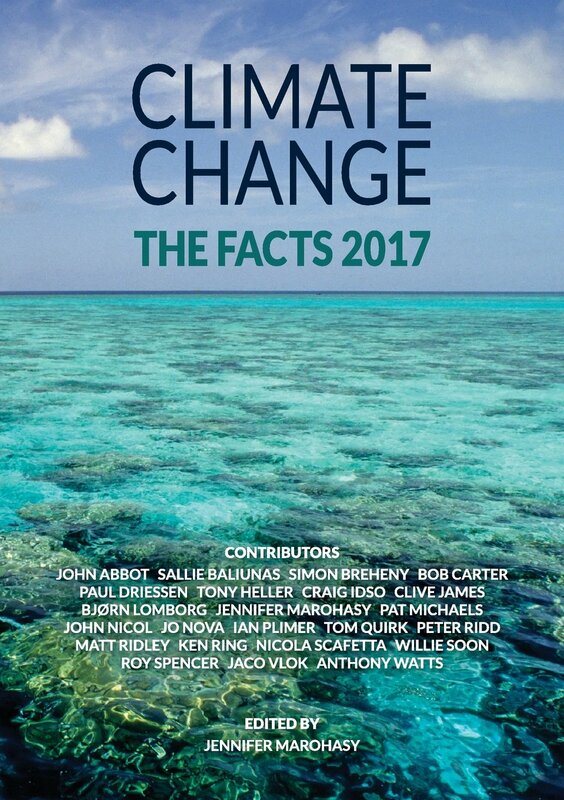 For air travel it most certainly is, for climate science, not so much. Here’s why this project may have unintended and potentially climatic consequences. A good portion of the world’s surface air temperature is measured at airports, because in those cases, weather conditions are of primary importance. Because so much importance is placed on accurate and up to date weather information, the weather stations are placed near the runways, because pilots want the conditions at the the runway, not something that doesn’t reflect the landing and takeoff conditions. 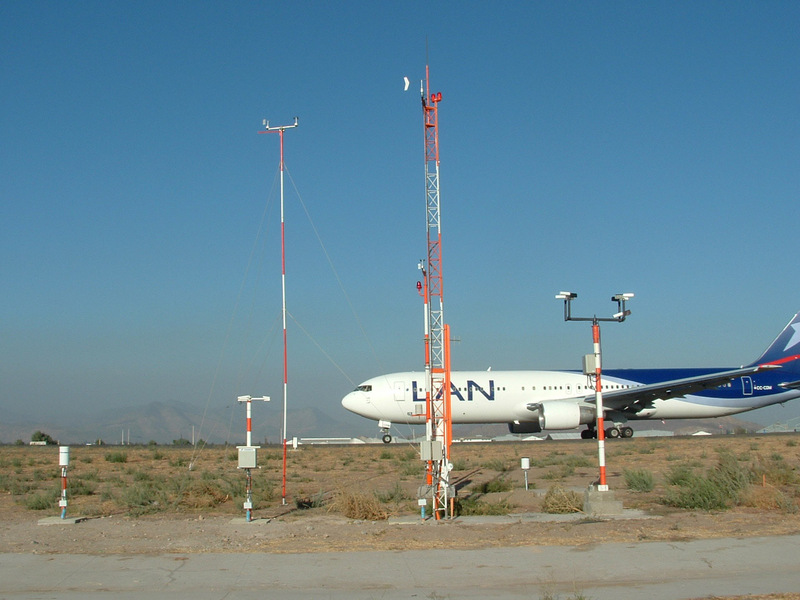 Automated Weather Observation System at the Basra, Iraq airport. Image from AllWeather Inc. the contractor for the installation. 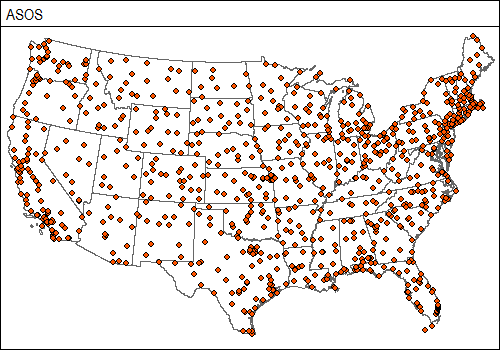 Locations of airports using ASOS in the USA. A good portion of the GHCN (Global Historical Climatology Network) is made up of airport ASOS and AWOS stations, which were co-opted for climate monitoring use. This was NEVER their original mission, and these station are setup right next to runways, because they were designed for reporting aviation weather right at the runway, but not for climate monitoring. So it stands to reason, that if heated runways become a common thing, we’ll find that the “climate signal” from these stations will likely be biased upwards in the wintertime, due to all that waste heat from the heated runways nearby. 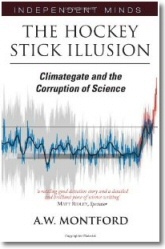 And THAT will influence the global climate data in GHCN if the upwardly biased data is allowed to stand. This will add to the already existing problems of ASOS stations reporting high in the summer, such as what we’ve already seen at ASOS equipped airports in Reno, Tucson, and Honolulu. It will certainly be an excellent example of the law of unintended consequences if airport runways become heated worldwide. Not too difficult. Build a powerplant beside the airport & run the condenser cooling-water thru piping under the tarmac instead of a cooling tower. That doesn’t address any temp-measurement issue, but airports shouldn’t be used for historical temps anyways. That really is the bottom line take-away. Do whatever you need to keep the runways safe but don’t take weather measurements there. Prior to running the heating mechanism, set up a series of temperature monitoring stations at varying distances from the Tarmac surface that have been synchronized with the main station, then not only could you determine a minimum safe distance for the station to be relocated form these operations but also the amount of potential influence at other locations prior to installation. This way, airports could maintain their needed weather stations at their current locations and official climate monitoring locations could be relocated the appropriate distance from the heated surfaces. If in the process a suitable location is found that happens to have a slightly lower reading than the existing Coop, then you could also determine any amount of bias introduced by the airport facilities to the existing recording site. I can think of several reasons not to build a power plant near a runway. While the article does not mention how much energy is needed it likely to small and infrequent to be economical from a power plant. The reason the energy rejected from the condenser of a power plant is not used for heating is that it takes more electricity to pump warm water than recovered. The smoke stacks for fossil fuel plants, and cooling towers for all power plants could create turbulent air that pilots would not like to fly through. Especially really close to the ground. @ Bryan. Goodness – if the sub-grade under the pavement is expansive – like clay soils – it will loose all structural integrity. I would imagine that steam from the cooling towers would not be popular with pilots if it regularly blew across the runways. Go for it. The public and biased press won’t know the difference and some extra warmth is going to be needed to offset natural climate cycles with cooling from the AMO and other shorter cycles stacking up over he next few years and decades. If it wasn’t for the Global Weirding caused by all the CO2 we wouldn’t need the heated concrete in the first place. And if it weren’t for all that concrete we wouldn’t have all that CO2 either. It’s a Weirding and back again. Co2 isn’t included in calculated global atmospheric temperature. Any thought given to the various critters that will be attracted to the nice warm platform amid the snow and ice? Can you say “bird strike”? Sure you can. May even get the kitty cats off the hood of my car. Not to overlook insects and amphibians; then we can discuss the burrowing critters that will set up shop underneath. Dense insect swarms would sure make landing slippery. Then after this technology hits open use, the real ambulance chasers will blame every accident on pavement anywhere as caused by property owner’s failure to install safety equipment. Those critters will be dancing merrily as their feet tingle from the high voltage on the conductive concrete. I looked into drilling holes like they used for heat pumps, and then just running antifreeze through the system, wouldn’t need any heating system, just running the pump. But I figured I’d need $12-$15 k worth of drilling for 50′ of driveway, and about a 8 or so car sized pad. If you started building airport runways like this, tools could be made to make that process much more automated to reduce costs. Maintenance is a bigger issue for geothermal. Anytime there is a problem you have to dig up and replace pipes. Pipes that are by design put in ground that is going through a freeze/thaw cycle. The concrete doesn’t need any pipes. Since the conductive elements are added to the bulk material (if I am understanding correctly) all you need to do is hook up a positive and negative terminal. If there is a problem just run a new wire. Heat pumps seem to survive thermal cycles, and yes they’d need to be engineered appropriately. My first thought was that thermal cycling was going to create stresses on the concrete. Then I remembered that this warming is a small fraction of what the summer sun can do. Spent nuclear fuel rods buried beneath the pavement. Plus the added safety measure of the glow from the Cerenkov radiation at night. Note, I’m not saying they’re benign…just that they look more so, especially after cooling off for a couple of years. Lol, I had to do some work on the effect of nuclear weapons radiation on electronics in a prior life. The take away, is if a bomb goes off, and you’re not vaporized, or have a building fall on you, you likely didn’t get a lethal prompt dose. And just need to keep clear if the fall out. The longer you can go say inside, greatly reduces how hot the nasty stuff is, and a sheet of paper will block the majority of the radiation. I don’t remember how long is enough, but any amount is better than none (a Month or two would be a great minimum iirc), as long as you keep it off your skin, and don’t ingest it. 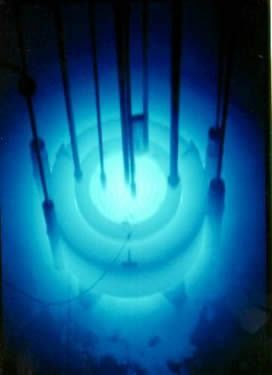 I’m not sure you’d get Cerenkov radiation, since it comes from radiation particles dumping energy to slow down to the speed of light in water. I guess you’d have to know the speed of light thru concrete. 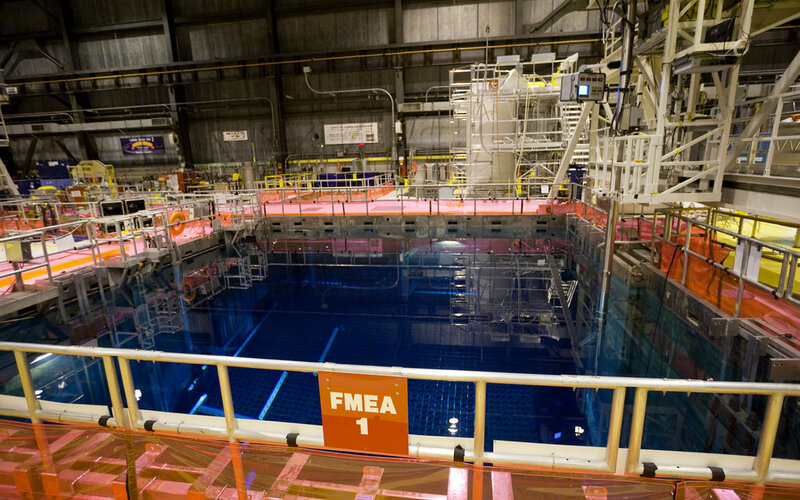 You need 7 feet of water for shielding when removing fuel rods from a reactor 24 hours after shutdown. Decay heat is less than 1% within a short time and continues to decrease. The problem with using radioactive material as an energy source is that it decays away and stops being a heat source. There are not enough spent fuel rods in the world to keep one runway above freezing. Good one Yirgach. I like it. Put those spent rods to work….. Heated drive ways are done in some cases but most of the time they don’t drill holes and run pipes. Instead of pipes they use heater wires that only produce a few watts of heater per foot. It is snaked back and forth over the drive ways and then sealed under an new top layer. This heats up the drive way just enough to melt the snow in a few hours. In some cases the heater wires only placed where the wheals of the car typically are. This saves on installation and energy costs. 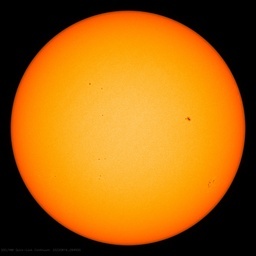 Once the snow is partially melted and the sun comes out the solar heating will accelerate the melting of any remaining show. A liquid system would be more efficient but it is best done before the driveway is installed to keep installation cost down. I have even seen this at train station to keep the passenger walkways clear. Another way to do this at a lower cost is to used a heated matt. Simply place the matt on the driveway and plug it in. These systems can run on utility power or solar. You can even used heater wire to melt snow on the solar panels. Even when covered in snow some light gets through the snow and will be converted to some power. which would help heat the panels a little faster and once a small patch of sow is cleared the power output will start to increase exponentially. Once the panels are clear the energy can be sent to the driveway or walkway heater. I saw a news report that someone did this the walk in front of their business. We have asphalt, am familiar with the solar component of melting. But we’d talked about concrete, and I was like that would be cool! Those are some good ideas about solar to power the wires. I would imagine that airports would have cooled down when they were closed due to weather. Fewer jet engines blowing hot air on the sensors and all that. If this technology does “take off”, then there will be fewer days in which airports have to shut down. I would imagine that in the picture above, they are running tests so they don’t want people walking on their experiment. I can’t runways and taxiways that can’t be used don’t strike me as being overly useful. What’s the carbon footprint of a warming tarmac footprint placed because of the cold caused by global warming? I’m sure there will be many Weather Channel, NYT, and HuffPo explanations for the masses. Kind of reminds me of the old weather station at Chicago Midway, when they improved the taxi-ways a few years ago the station ended up right in the path of jet exhaust at a turn-off. That was very close to a ‘two-monitor guffaw’! Looks more like case of large benefit from using energy and a manufactured insignificant, if any, consequence. An example of unintended consequences is California Title 24 to reduce energy used in houses resulting indoor air quality issues. Heated runways are fine and most probably will cause a warming single in the data. Of course that is no different than the urban heat island effect. Appreciate however that this winter one of the biggest problems with flying has been icing on the aircraft itself not just skidding off the runway due to ice. Many airports/ airline just did not stock enough deicing fluid. I guess because they believed global warming would negate the need. Even worse, the power consumed to keep runways clear will increase carbon emissions and accelerate global warming. Oh, wait. I have a great idea! Erect a bunch of 6MW, 175 meter wind turbines around airports so they can keep their runways clear using non GHG-emitting renewable power. Gives a whole new meaning to bird chopper. Or you could install a whole bunch of computers under the concrete and use the heat generated from mining Bitcoins. I thought that global warming would have taken care of the problem by now. According to Dr Viner you are right, surely the problem should be cooling runways as most of them are largely tarmac not concrete and with all that global warming and downwelling radiation the tarmac will be running into the drains…. Warmistas will be falling over each other to sponsor the installation of Tarmac Warming systems as this will be the final solution to falling Global temperatures as hot tarmacs heat up the thermometers on hundreds of airport weather stations. There will be no further need for temperature ‘adjustments’, temperatures will adjust themselves. And how much energy would a 4,000m runway consume? In addition, how easy would it be to fix, if it went wrong? Most runways operate 24/7, and in the UK we have many single runway airports. Shutting runways down every ten or twenty years for resurfacing is a major headache, let alone closing them for heating repairs too. I’m glad you asked. See more below from Iowa State. Power consumption is 333 watts/square meter. Heathrow’s “Facts and Figures” gives the Northern runway as 3,902 meters x 50 meters and the Southern runway as 3,658 meters by 50 meters. Total runway area is 378,000 square meters. This doesn’t count taxiways and aprons which are probably at least as much again if not more, so say 756,000 square meters. Total power draw then is 756,000 x 333 or 251,748,000 watts, or 252 MW, rounded. If you had to run that for 10 hours during a snow event, that would be 2,520 MW-hr of electricity consumed. At a cost in the US of $0.10/kW-hr (consumer rates), or $100/MW-hr that would be $252,000. As a bulk consumer of electricity the airport probably can get a better rate, or at least it could in the U.S.
Heathrow’s revenues are approximately £8 million per day, or about $11.2 million at today’s exchange rate. So, melting that snow would represent 2.25% of operating revenue. On operating cost alone, if it keeps the airport open for one additional day per year the ROI is 4,444%. No, I didn’t make a mistake and put a comma for a period. Contrast that with most other airports. There are some places where it’s hard to get adequate de-icing equipment. Most airports, that’s the best you can hope for. Anyway, most of the time other methods are sufficient. If you’ve got planes landing every three minutes then you don’t want snow clearing equipment on the runways. For those few airports, heated runways might make sense. That can melt an inch of snow in an hour. You’d not run it at full steam all the time. Maybe, maybe not. Power dissipation is going to be a function of applied voltage and resistivity of the concrete. For a fixed voltage you are going to have a fixed power dissipation. Varying the voltage can be done, but it’s a little klugey. Perhaps a pulse width modulation scheme could be employed. In any event, I didn’t see anything in the article suggesting that the power output could/would be modulated. Keep in mind that airports are specifically sited to be places more likely to avoid freezing conditions. The bias starts long before the first airfield measurement. Now where did you hear that? Not in the UK, they are not. They are simply old RAF airfields, lcated anywhere. This technology was developed to be used in congested areas like aprons. Heating runways might not be practical because they are subjected to thrust and high temperature that may damage the pavement. I recognize the idea from our town. The politicians actually thougt they would save money by heating the square instead of plowing it. The square was heated one winter, now they plowing it. Turned out to be way more expensive than said and totally meaningless. Cooling water (considered free) are actually used to heat buildings in the winter but they missed that obvious detail. My guess is, once they run the numbers on this it will be done on a massive scale. Massively small, that is. Silly idea, not just for messing with vital runway flight condition information. The disruption and cost of replacing existing runways, months in duration each, far exceeds any saving from avoiding occasional snow driven flight disruptions. The new second parallel runway at FLL took two years to construct. The additional fourth runway at ORD has taken at least three and still isn’t finished—but then, those are Chicago contracts. ORD has an interesting gate area snow removal solution. Big plows clear and pile. Rubber wheeled front loaders scoop the pile and dump into giant propane fired melters placed over special gate area drains. Snow melts and water drains away. Whole thing takes maybe 1-2 hours and only ties up a few gates. The old practice of carting the piles to far ends of the airport in dump trucks no longer worked; all the far ends of ORD are occupied by maintenance hangers and air freight logistics warehouses now. Separate observation. Stainless steel is a very inefficient resistance heater as is fairly conductive. Traditional efficient Joule (resistive) heating element is a calrod, nichrome wires or ribbons stuffed into a stainless tube. Invented by GE. But would get too hot and damage the concrete. CHicagoland sidewalk heaters use copper nickel based thick wires to provide low temperature heat. Less electrically efficient, but still cheaper for downtown merchants than hiring downtown snow removal for the few times per year needed. Practice was started by Marshall Fields of department store fame, whose resulting wealth enabled the Field Museum of Natural History where Sue the Trex resides. Sue replaced the brontosaurus in the Great Hall. The Brontosaurus now resides in Terminal 1 (United) at ORD. Fun Chicago facts. See my post above re costs. It looks like the new runway cost $514 million, per Wiki. I don’t know what the delta on the conductive concrete cost would be, but the conductive mix would only be the top 6″ of the 30″ slab. They are not using the s/s rods to heat the concrete, but to bring power to the carbon fiber matrix. It’s an investment, not silly at all. All the test pilots and control tower staff fell about laughing. The runway was made of snow. At low temperatures it has excellent friction characteristics. My brother took his car out on the runway to test drive the braking characteristics. Got up to a decent speed, put his foot on the brake pedal and only the seat belt stopped him going through the windscreen. Proper action with these snow affected runways is to add cooling pipes next time the runway is resurfaced. Keep the temperatures way down, no problem with loss of friction. Incidentally, Gatwick has only one runway – was completely rebuilt and resurfaced without being shut down, remained in operation 24/7. If you don’t want to go the ‘cold’ way, suggest you resurrect FIDO. That worked very well. Actually if you look at all the stations ( there are over 40K) you’ll find that the distance to the closest runway is a not a problem. The proportion of stations by airports is not substantial and there is no measureable difference between airport and non airport stations: If you just focus on the US or GHCN YMMV. gotta look at all the data. Which must be why the local international airport is almost always the warmest of all the local surface stations within about 30 miles. Just like your nonsense about UHI. Find a way to keep, the aircraft on the ground and the ground-support equipment, ice-free. A quick spray and on your way. Apologies. I have difficulty differentiating between a comma and a smudge. Heating runways is fine so long as it is done with electricity generated by solar panels. This is no more crazy than the Government of Western Australia deliberately reducing available fresh water for Perth by banning clearing of catchment areas, then replacing the lost water by desalinating sea water using electricity generated by windmills and solar panels. For snow-bound airports, if necessary, diesel engines can operate to power lights which shine on the solar panels. Think of the employment opportunities in sweeping the snow off the solar panels. The diesel engines can run on bio-diesel which can be produced from used cooking oil (a commodity currently trading around US$380 per tonne). Do I understand the Obama administration ordered the US military to maximise use of bio-diesel? Has this been reversed by the Freedom Government? Where we didn’t need them before? It is a pretty busy airport but with a quiet time from about 0200 to 0700 local. What may or may not be significant is that the temperature plot is much smoother during the night hours when there are few aircraft movements. Heating up the runways to heat up the temperature readings could be a big win for warmists — they gotta keep the “hottest ever” meme going. Heated runways will attract birds looking to get warm. What could go wrong with that? Decades ago I flew up to Inuvik NWT in a Boeing 737 and my neighbour Bob was the pilot. He asked me to sit upfront and we had a good flight north. I asked him if engine thrust deflectors were the main component of braking when landing the aircraft, and he said no, the wheel brakes were the primary braking component and the thrust deflectors provided additional braking. Assume this is true. Heating to melt runway snow is going to result in runway icing, especially under very cold conditions, and I really don’t think we want to land aircraft on icy runways when wheel braking is the primary form of stopping the aircraft. Running out of runway is not one of the best ways to stop an aircraft. It happened to my friend Diet (our company pilot) when he was piloting a twin-engine aircraft out of Edmonton International – he related that both engines failed just after take-off and wheels-up – he pancaked in a snowy field, slid the length of the field and down into a gully, through a copse of trees, sliced off both wings and ended up nose down in a frozen creek bed. All of our guys were OK – shaken but not stirred. Small planes have their risks. My friend Diet co-owned an aircraft with Al Williams, of A D Williams Engineering. Al Williams, like Diet, was a meticulous and highly skilled pilot – I flew with him several times. Al was killed in a plane crash in the Rockies in October 2007, but managed to save his three-year-old granddaughter, Kate, who was found safely strapped into a child seat in the upside-down plane’s wreckage. She was the only survivor of the crash. Why would you assume that the system would be turned off once the snow was melted, only to refreeze? If it’s enough to melt the snow, it’s enough to keep the water liquid. 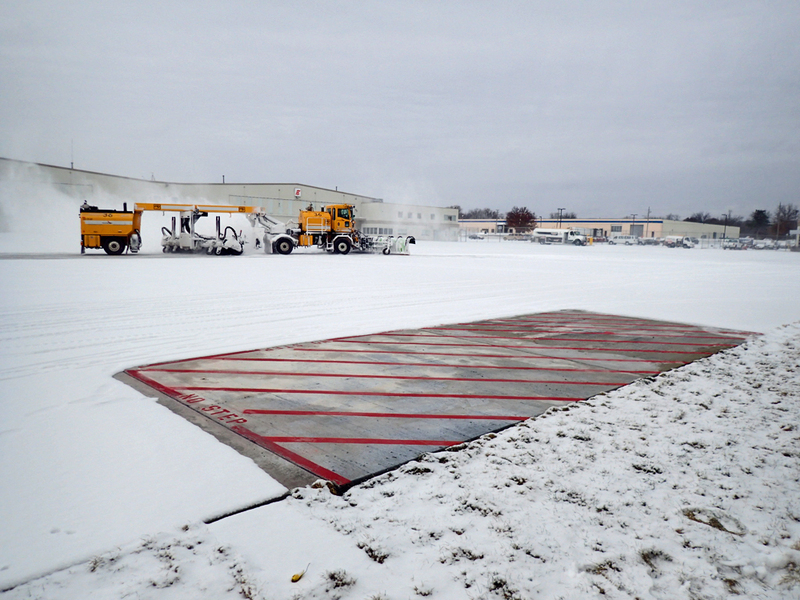 If you look at the test patch, it’s enough to dry the runway with snow on adjacent surfaces. I assume that the system would not be able to melt all the snow in very cold weather. Far better to plow and sweep it off the runway that to try and melt it – if the melting system does not work to perfection, it makes the runway worse, not better. By 2019, pilots & children won’t know what Ice and Snow covered runways are! Problem solved! CO2Change ™ – there is nothing it cannot do!